Happy Birthday to me! Blow out the candles and eat some cake! June 21st is my birthday and this year I will be 34 years old. This has been a really big year for me. I published my first novel, Deadly Troubadours, and am working on its sequel. Even bigger news is that on May 14th my wife gave birth to a beautiful boy, Leo. It is going to take a lot for 2016 to measure up to 2015. So, how am I going to celebrate my birthday this year. By using it as a sales gimmick, err, I mean, umm, giving back to my supporters? Crap, that doesn’t fly does it? Okay, fine. I am looking for more readers and the month of my birth makes a great excuse. 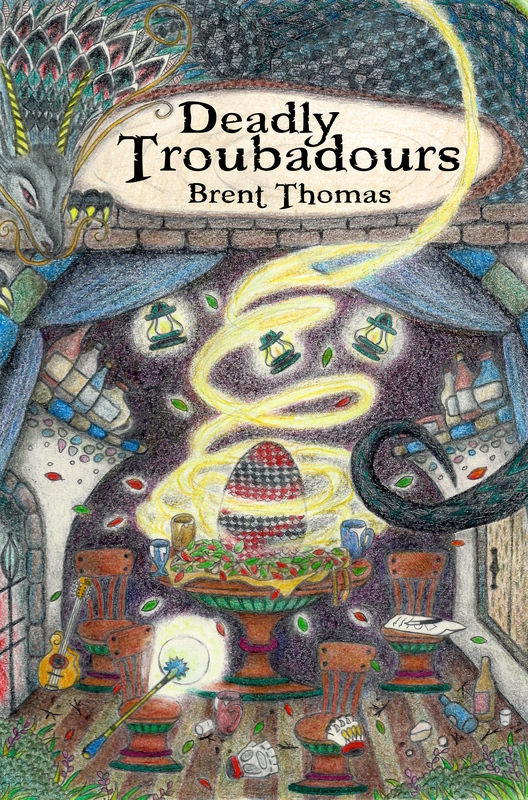 So, for the month of June my book, Deadly Troubadours, is going on sale! Normally priced at $5.50 USD, the book is being reduced. To what? Well, that depends on where you buy it. On Smashwords, you will be able to set the price. If you want my book for free, go for it. Read and enjoy. At the same time, if you want to pay some ridiculous amount of money, hey, that’s okay too. Because the Smashwords price determines the iTunes price, buying the book from Apple will probably cost you about $1. Maybe $1.50. Amazon will also cost about a $1 depending on which country, like Amazon Japan, you buy it from. Yes, this is a shameless promotion to get as many new readers, and hopefully a few reviewers at the above locations and also at Goodreads, as possible. The obvious question is, if I want as many new readers as possible, why not just make it free? The truth is, I looked into that. But it is harder than you’d think. Basically, because I am trying to make Deadly Troubadours available in several online stores, certain big name internet shopping giants won’t let it be priced lower than $0.99. So, that became the base price across the line. Except for Smashwords, where you can get a copy for free. And, yes, the set your own price option is due to the pipe dream chance that an eccentric reader will opt to way overpay for my little book. Because everyone needs to dream. But not only is this a shameless promotion, but it is a shameless plea for help. Tell your friends. Let them know that June is the month try an independent novel. One with dragons and fun and wine and hijinks. Give it a chance. Now’s the time. After all, it isn’t going to get cheaper than this.